In the grip of struggles, challenges, addictions, bad habits, when guilt already wreaks havoc, shame comes to steal the hope that once offered release. Shame will never be the factor that sets you free – shame often pulls you deeper into the very places you long to run from. In our own strength we rarely find freedom, there’s a greater power needed to break the chains that enslave us. That power is grace. I’ve walked through many troubles, stepped too close to the edge of life too many times, and by God’s grace I’m still here. Many of these experiences were journeys that took time…and lots of it. Choosing daily who I was living for. One time I found myself up against a new challenge, one I had never expected to face, causing me to make some seriosuly wrong choices. Days turned to weeks, and weeks turned to months…what initially seemed harmless began to torment my mind and before I knew it, shame outweighed anything and I felt trapped. I would cry out to God, beg Him to take this trouble away – but through the cloak of shame, I couldnt see any escape route offered. His love felt a million miles away, clouded out by the weight of sin. One bad decision often leads to another, leading us down a dark path, which can seem to have no way out. You become blind to the truth and resign yourself to failure. On the eve of potentially being about to knowingly cross the line and make a very bad decision the next day, I found myself crawling into bed in a state of complete double-mindedness…on the one hand, crying out for strength to make a different choice…on the other, resigned to failure. I woke at 3:45am…nothing spectacular roused me from sleep…no angels in the room, no loud voice giving me an answer…just stillness. After 3 hours it was done. His grace covered me replaced the cloak of shame. In the depth of night, in the midnight hour, His love cried out, His unfathomable grace broke the chains that held me down. We stand…we sit…we rest…in Him. Many thanks for reminding me of just waiting for Him. Thanks Howard… It’s a reminder we all need…every day!! When we sit and wait on Him, He fights our battles for us. He intercedes on our behalf when we don’t know what to say…and then…when the burden is lifted we sat thankyou, because our loving Father loves to set us free. Thanks for sharing this Sorrell Dowling. God Bless you with abundance. Thank you Shane! 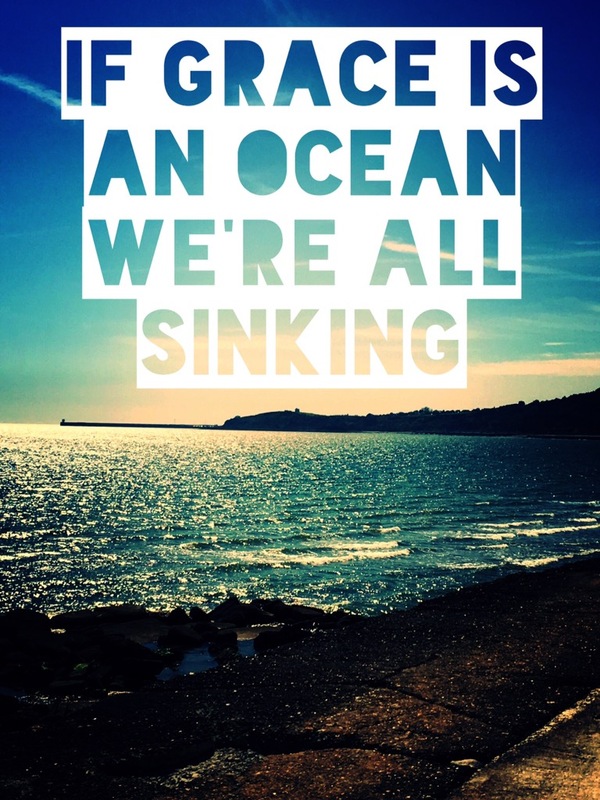 God’s grace always astounds me… He’s so good to us! This is beautiful. ❤ Such a powerful reminder! God’s more than able to take care of His kids, even when we don’t see how. He’s faithful! Thank you Michel. Looking forward to reading your posts. This is such a beautiful post! A wonderful reminder that hope never disappears, it only hides. It’s up to us to be open, mindful, and willing to embrace it. Thank you 😊 yes, very true…hope never disappears…I like that thought! Love your blog title AND this post. I know what it is to feel a tangible, yet unseen heaviness all over me and then to feel it slowly lift, me helpless thru all of it. Truly, Jesus wants to save us from everything that would dare come against us! Thanks Vanessa! I love that we can know God is faithful in the midst of anything else going on! What a beautiful poetic rendering of God’s abundant grace. So very true and this just goes to prove obedience is followed by blessing. Thanks for your like on my blog…I really enjoyed yours. Thank you for stopping by and for your words. Glad you enjoyed it. Thanks for sharing thi. The experience you describe reminds me of a passage of scripture I use when I’m up early enough for vigils: “Good comes to those who wait for the Lord, to the soul that seeks God. It is Good that one should wait quietly for the salvation of the Lord” (Lamentations 3:25-26). The right time is always God’s time, not ours. Waiting is the key. Thanks Richard,that’s a good verse…thanks for sharing. The truth in 2 Peter 1:9 was liberating for me. The more I accused myself over a particular sin, the more likely I was to repeat it. In Christ we are cleansed. When we realize that fully, we are free. Yes…you’re right. Shame and condemnation will hold us down but the Truth will set us free! Blessings to you! You described his love in the lost amazing way. He never points an accusing finger, no I-told-you-sos just wide outstretched arms and eyes full of love… Grace…. !